Foster Engineered Products represents material manufacturers in the architectural and construction industry. We take pride in serving our customers by conveying expert knowledge of the manufacturers we represent and ensuring the end user receives the highest quality product available. Services include detailing and engineering of commercial, industrial, circular, spiral stair and ladder egress systems. 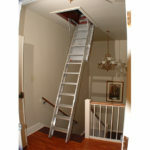 We deal with trusted manufacturers such as Precision Ladders and Sharon Stairs. 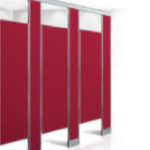 A variety of washroom accessories and toilet partition systems offered by Bobrick, Koala, and Gamco. Contact us to review options where design, products, sustainability and budget are important. Bilco and CS are leaders in Roof Hatches, Fire Vents, Floor Doors, Hatch Railing, Ladder Safety Posts, Acoustical Fire vents, Traffic Rated Floor Doors, 2-hour fire rated floor doors and security systems. We have a wide range of specialty products. Acrovyn, Koala Kare, Expansion Joint Systems, Entrance Flooring. Check out our product page and request a quote. Foster Engineered Products can help with your sun control solutions with products from CS Group and GKD. Contact us to discuss which product will work for your project.